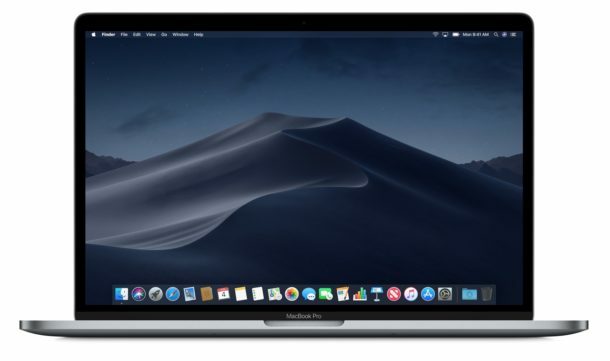 Apple has released MacOS Mojave Public Beta 1 to any Mac user interested in beta testing the upcoming macOS 10.14 system software version. 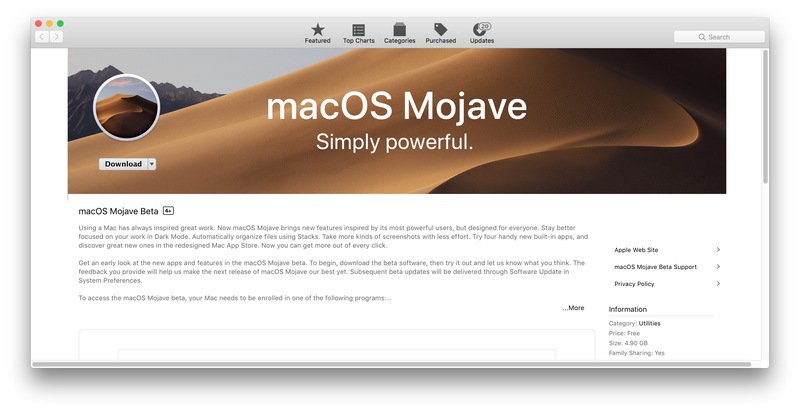 Technically anyone can enroll to participate in the macOS Mojave 10.14 public beta testing program assuming they have a macOS Mojave supported Mac, though generally speaking running beta system software is best reserved for more advanced Mac users who can test the operating system on secondary hardware. Always backup a Mac before installing any system software, particularly with beta releases. If you’re interested in making a macOS Mojave beta bootable USB install drive you would want to complete that process before beginning the software update. Installing macOS Mojave public beta is the same as installing any other system software version. Remember that beta system software is actively under development, meaning performance and stability are not at the level users would expect from a final release of system software. Thus it’s best for only advanced Mac users to run macOS Mojave public beta, and ideally on a secondary machine that can be used for testing. It is critical to have a backup made before installing macOS Mojave public beta, this allows preservation of your important data, but also allows you to downgrade from macOS Mojave beta and revert back to your prior stable operating system environment in the event you decide that the beta release is not suitable for you. Do not skip making a backup prior to installing macOS Mojave beta. 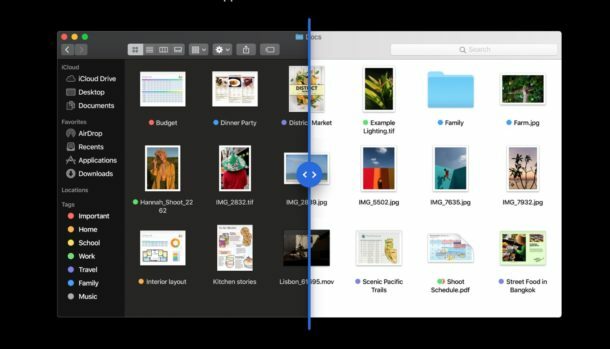 MacOS Mojave includes various new features, including a Dark Mode interface option, dynamic wallpapers, numerous improvements to Finder, Desktop Stacks, a variety of new system apps like Stocks and Voice Memos, along with numerous other new features and changes. The final version of macOS Mojave will be released in the fall. Users interested in beta testing other Apple system software can also download iOS 12 public beta 1 to an iPhone or iPad as well. Not going to do it, not at this juncture, wouldn’t be prudent. The new dark mode is really nice! It’s good to have the dark mode, but what about the old hybrid dark mode? I prefer it than the new one. It is very fast so far. I like the dark mode. I have it installed on one of my external drives.